Oppo N3 launch event on October 29 and fast approaching, the company is revealing more about what the phone will look like in teaser photos. 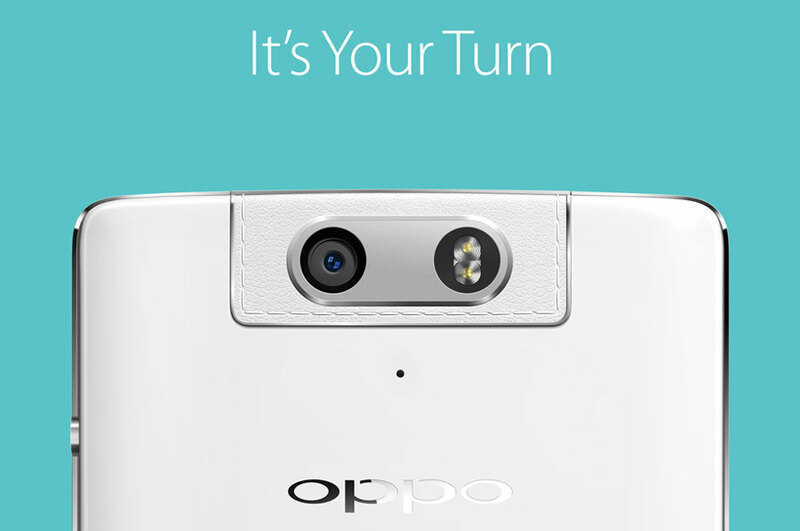 Now Oppo reports on Google+ but only with another image and the short statement: "It's Your Turn." to see on the picture is the Oppo N3, apparently - like its predecessor - with a swiveling camera. Just like we anticipated, the rotating camera module is still in place but this time seems a lot more stylish. Oppo has given it a faux-leather finish and a single piece of metal in the middle surrounding the camera module and dual LED flash. Oppo will launch the phone in pink, white and cyan and it come in either stainless steel or an aluminum-lithium alloy body. The rest of the Oppo N3 specifications should include a 5.9" 1080p display and will run on the latest Snapdragon 805 chipset with 3GB of RAM. Just like with the original Oppo N1 the camera will be capable of 206-degree rotation and will feature a 13MP sensor with dual-LED flash. October 29 is just a bit over two weeks away, so we'll have to be patient until then.